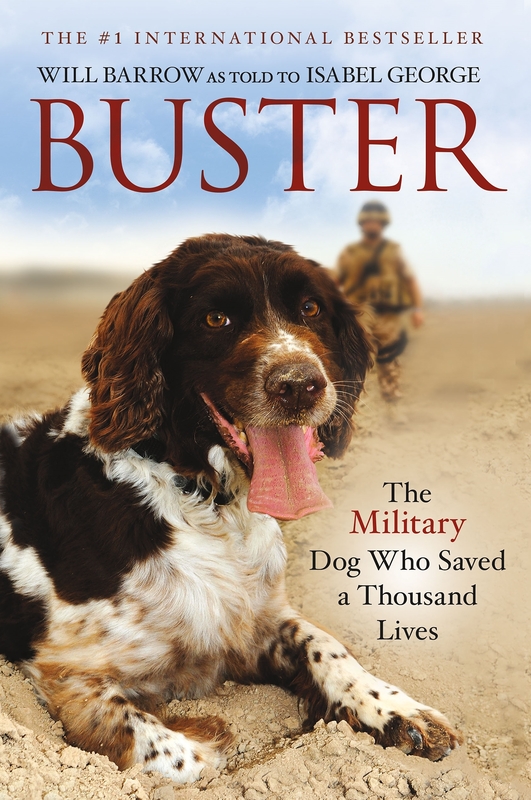 “Buster: The Military Dog Who Saved a Thousand Lives,” by Will Barrow as told to Isabel George. Thomas Dunne Books, $24.99. Buster, an English springer spaniel, is a decorated military veteran with five tours of duty, a celebrity at home in England and a soldier’s best friend. This gripping narrative takes the reader on two assignments in Afghanistan and one in Iraq with Buster, an arms and explosives search partner and best friend of Barrow, a Royal Air Force senior NCO in charge of the Dog Section and a Squadron Dog Inspector. Each tantalizing chapter is a cliffhanger, leaving you hopeful the pair will come out alive, whether they are dealing with a vehicle checkpoint search, a probing look for IEDs (improvised explosive devices) on a remote dirt road or checking out an Afghan village or town, where the unit is uncertain if it is dealing with friendlies or foes. Virtually everywhere Buster travels he’s a big hit, particularly amongst the unit with which he is serving on the point. The Afghan people do not regard dogs as companion animals as we do. Conversely, he is a military working dog with a job to do, but a companion, “a soldier even, so entitled to share our space,” write Barrow and George. Buster’s worth can’t be measured strictly with his sense of smell. He is a hands-on therapist and morale booster for all around him, including RAF and American troops. Everywhere he goes, he’s a photo-op waiting to happen. For Barrow, some of the most angst is prompted by separation from Buster following tours of duty, quarantines on Cypress and a return home to England, where he is missing the dog’s “calming influence,” leaving him feeling “lost,” sometimes for months. “Buster” is an emotionally powerful read that resonates from a combustible feel one minute to a celebratory spirit the next.